NECN, the largest 24-hour regional news network in the US, has been around since 1992. The studio has seen many overhauls since then, but the most recent took place over the past year. 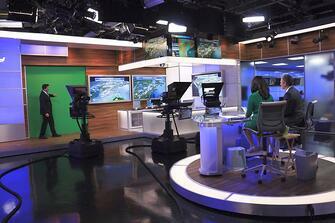 The newly designed, state-of-the-art NECN studio looks totally high-tech now that the revitalization is complete. 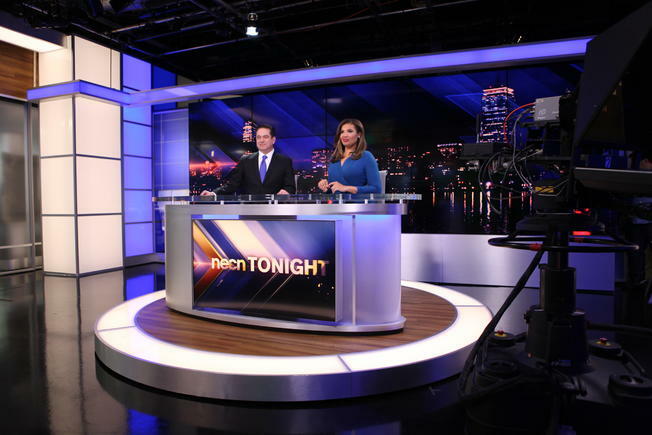 The goal behind the transformation was to provide a better viewing experience for New Englanders tuning in, and the studio certainly succeeded! Mike St. Peter, senior vice president and general manager of NECN, led the transformation. He went to painstaking lengths to ensure every addition to the studio was of the highest quality. Boston Garage was honored to be part of the process by providing the floor coating for the revamped studio. St. Peter wanted a high-quality floor that would provide the right features and benefits for a news station that provides nearly 70 hours of live programming each week. He got exactly what he was looking for when he chose epoxy floor coating from Boston Garage. High quality, stain-resistant surface: Epoxy is a non-porous surface, so if news anchors spill their morning coffee, clean up is as simple as wiping the surface with a damp towel. Dirt and mud tracked in from outside is no problem, either. Under normal conditions, it’s virtually impossible to stain epoxy flooring. It’s a great feature for a news crew that more important things to do than clean up stains! High shine with an attractive, contemporary finish: With the goal of using high-tech materials for every surface, epoxy floor coating delivers a deep, glossy sheen any news room would be envious of. 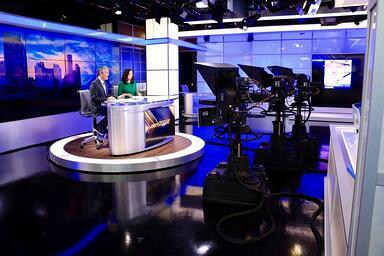 The reflective surface gives off the contemporary look NECN was going for. UV stability: This feature keeps the floor from fading so it looks new for years to come. NECN just finished a complete studio overhaul; they want to get the longest life possible out of the floor without needing to replace it again anytime soon. You may not manage a news station, but you can appreciate the same benefits of epoxy flooring that NECN now gets to enjoy. 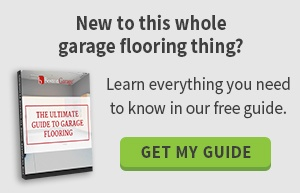 If you’re ready to discover how an epoxy coating can transform your garage, basement or business, please schedule a free on-site design consultation with Boston Garage.